When I worked in an office environment, I tried to keep a few things on my desk that might remind of what’s really important in life. A side benefit was that many of these things would promote healthy discussions among my co-workers. 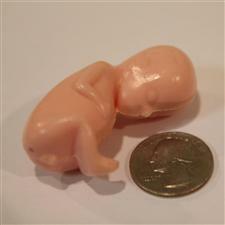 One of the things that I used to keep was a life-sized plastic model of an 11-12 week old fetus in the womb. At this point in the pregnancy, the baby is about two inches long. Almost all organs are formed and most are beginning to function, including the kidneys, the liver, and the pancreas. Fingers and toes have become distinct. You can count them. Hair and nails have begun to grow. Sadly, this is the age at which many babies are aborted. We need to pray for mercy. 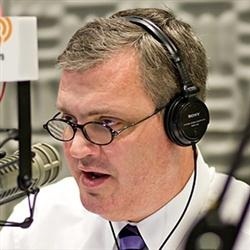 I love the podcast that Al Mohler, President of Southern Baptist Theological Seminary in Louisville, Kentucky. Each morning he posts a 12-15 minute commentary on the news. I usually listen to it while showering in the morning. You can find it here. Give it a try. This puts things in perspective. I remember some good pastoral advice that I once received from another pastor friend. He told me, “Never be surprised what happens behind closed doors.” In other words, people may put on an appearance that all is well, when in fact, all is not well. It’s only when something happens that they are exposed. 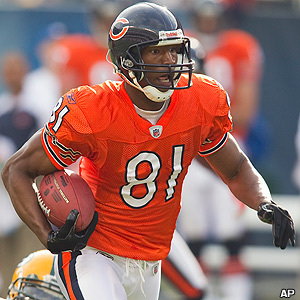 An example of this came this week with the situation with Sam Hurd, former wide receiver with the Chicago Bears. He didn’t show up for team meetings on Thursday, so the team began inquiring as to what was wrong. They found out that he had been arrested by federal officials on Wednesday evening, who say that Hurd was setting up a drug-distribution network in the Chicago area. Hurd had hidden his activities very well. You never know what happens behind closed doors. Tim Tebow is one of the most polarizing figures in sports today. Seemingly, people either love him or hate him. He is arguably the best college football player ever. And yet, as a quarterback, he has struggled to throw the ball accurately. His ways are very unorthodox. And yet he continues to win. Only time will tell how successful his professional football career will be. Perhaps the most polarizing aspect about Tebow is that he is an outspoken Christian, born of missionary parents. Many hate him for this and many love him for this. Some fans in Denver, wishing to show their love for him, have begun to don his #15 jersey, replacing the name “Tebow” with “Jesus.” This is a testimony to Tebow’s character. Unlike so many professing Christian athletes, he matches up his walk with his talk. 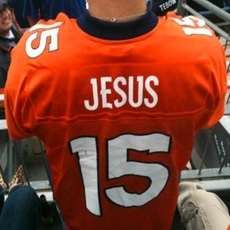 But, in their efforts to honor Tebow as their football messiah, the jerseys miss the point. Names on the back of jerseys are used to identify the one who wears the jersey. But Tim Tebow isn’t Jesus Christ. Tebow is a sinner saved by grace through faith in Jesus (Ephesians 2:8-9). Tebow’s desire is to see others believe in Jesus–the Lamb of God, who takes away the sin of the world (John 1:29). The presidential elections are more than a year away, and yet, things are heating up with the primary elections coming soon. One of the major discussions in this year’s election cycle has to do with Mitt Romney and his Mormon beliefs. Dr. Robert Jeffress (pastor of First Baptist Church, a southern Baptist church in Dallas, Texas) was recently interviewed regarding his comments regarding Mormonism as a cult. I thought his perspective is a good one to share as you think about casting your votes in the upcoming primaries and presidential elections. 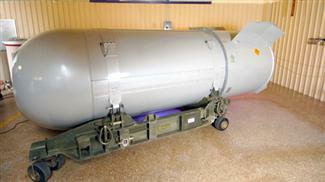 A few days ago (October 25th, 2011), technicians in Amarillo, Texas, finished dismantling the last of America’s B53 nuclear warheads. Estimates are that the United States had more than 300 of them at one point in time. These were massive bombs, weighing close to 9,000 pounds. Each of them were 600 times more powerful than the bomb dropped on Hiroshima in 1945. They were so large that a jet could only carry two bombs at a time. In service for more than 50 years, the United States has rendered all of them impotent. Jesus did a similar work on the cross. Through His death, the bomb of death has been dismantled. As it is written, “Death is swallowed up in victory … through our Lord Jesus Christ” (1 Corinthians 15:54, 57). By raising from the dead, Jesus rendered death impotent. Praise be to God.